The partition of the Indian subcontinent in 1947 is, in a big way, the source of many of the troubles that the region witnesses today. Much literature has been produced narrating the man-made tragedy that struck the subcontinent in the late-1940s. The ensuing violence claimed more than one million lives and yet not much exists that informs people today about the details of the fury that engulfed one of the world’s oldest syncretic regions. Nisid Hajari’s Midnight’s Fury: The Deadly Legacy of Indian Partition is an attempt to take the conversation about partition in that direction. The book is not an academic exercise in theorizing the causes of the partition; it is a venture in narrating what happened and why, after the schism, India and Pakistan became inveterate enemies. The Diplomat’s Sanjay Kumar spoke to Hajari recently. 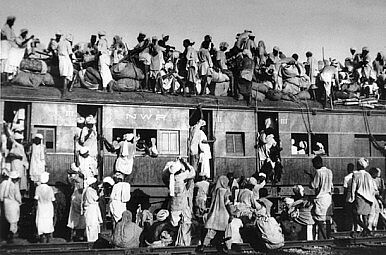 The Diplomat: Why did you feel the need to revisit the partition? Hajari: A couple of different reasons. One, despite all the works done on partition — there is amazing scholarship available — but in terms of a general audience, what people generally know is often terribly biased; it is based on misconception. Lot of it is based on the book Freedom at Midnight,which is wonderful, real, but factually challenged. I felt the need for a more accurate narrative and even added a popular version of the story. I am also writing for an American audience, though they are not part of our history. But they are involved in South Asia—not only in Afghanistan, but they are also deeply engaged with Pakistan. The mindset of Pakistan’s military matters a great deal to Americans and their fear and strategic concerns about India drive them toward their nuclear program, support for the Taliban and other militant groups, which makes this region very dangerous obviously. All these impulses go back to their fear of India. I wanted to tell a story about the roots of the fear and how it began. Although many things happened in the last 70 years that contributed to it, a few critical months in 1947-48 ingrained this mindset deeply in the Pakistani strategic establishment and I wanted to explain that. In your book you also blame the Sikh Khalsa group for instigating and adding fuel to the fire at this critical moment in history that cost so many lives. For both sides it is very easy to blame each other and as long as you blame each other you never come to any conclusion or understanding. Focusing on Sikhs was not aimed at blaming them; obviously Hindus had militias, Muslims also had militias. But it helps us understand why the violence started in Punjab in August in 1947, why it was so violent, and why the massacre was so huge. If it was just ordinary Hindu or Sikh or Muslim farmers and traders picking at each other, it would not have spread so fast. The death toll would not have been so high. There was a degree of organization. People had modern weapons; many of them served in the army, so they had training and organizational capability. So when they went to attack a village, they massacred everyone there. The death tolls skyrocketed very quickly. Everybody joined in. My point is not to blame the Sikhs, but the Sikh militant groups who served to accelerate the violence. I also get the sense from your book that had the Muslim leadership in Punjab handled the situation more delicately, perhaps Punjab would not have been divided and Sikhs would largely have joined Pakistan. If those riots had not happened in March 1947, there were talks ongoing between Sikh leaders and the Muslim league — discussions of including the Sikh population in a united Punjab. They would still have been a minority there, but a powerful minority, more powerful than what they are today in Pakistan. Had the Muslim League succeeded in convincing the Sikhs that their rights would be respected, the party might have gotten support for a united Punjab. Another question that you get is: aren’t the British to be blamed for this line? The problem was not where you decided to draw the line, but the issue was deciding to split the Punjab. That was the decision of Muslim and Hindu political leaders. How optimistic are you that some time in the future, India and Pakistan could come to some kind of understanding and normalize their relationship? I am optimistic in the long run. If you look at the populations, on both sides there is lots of suspicion, lots of nationalistic rhetoric, but the average person on both sides wants development, better jobs, and education. What you need to do, thus, is to bring down the tone of the rhetoric and you have to create a congenial atmosphere. Right now, nobody is benefiting from peace and you don’t have businessmen making money. It is easy for the louder voices to drown out the reasonable ones, but if you open up a little bit, if you allow trade, if you allow people to make profit, indulge in joint ventures, then if there is a terrorist attack, people can argue against rushing back to conflict.